Our UCLA chapter is now recruiting! Theta Xi, the national leadership fraternity, is unparalleled in the educational and social development of its members. Our successes and diversity have been celebrated by over 65,000 individuals since 1864. On top of offering one of the most diverse brotherhoods nationwide, Theta Xi provides a genuine sense of unity that has defined members’ experiences not only in college but also for the rest of their lives. We think of ourselves as more than just a social club. 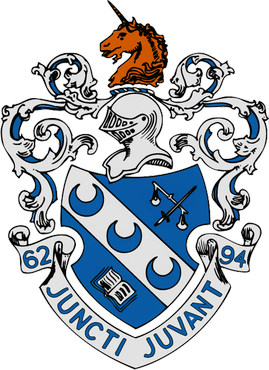 Theta Xi consistently earns one of the highest GPAs on fraternity row and offers over 30 different leadership positions for its members. Theta Xi has a strict anti-hazing policy and believes firmly in the importance of treating all of our members equally. We strive to restore the reputation of fraternities as valuable community assets. Spiritual understanding that provides a reservoir of strength to draw upon when faced with conditions beyond comprehension. Be sure to check out our chapter’s Facebook page and social calendar. If you’re at all interested in joining our brotherhood, click here for information regarding recruitment. Our door is always open so feel free to come pay us a visit sometime at 629 Gayley Avenue!